With new attractions like Fruity the Witches Not-So-Scary trick or treat Witch Wagon and Marty the Monster’s Halloween Boo-Bash Party, Twinlakes is the top destination for spooky-not-scary family fun this October. Feel the atmosphere, enjoy the thrills and celebrate Halloween at Oakwood Theme Park; from scare mazes to family fun there is something for all the kids! A family friendly fang-tastic blend at Halloween with not so scary attractions. Win magnificent prizes plus wicked workshops including magical wand making and broomstick flying masterclass, meet and greet Millie our friendly Monster and Grizelda our naughty Witch, creepy competitions, craft workshops and trick & treat boxes, children’s fancy-dress is optional! Experience fun entertainment this Halloween with friendly ghosts and ghouls, encounter Creepy Critters and bugtastic workshops. Why not brave a ‘not so scary’ boo barn a must for the whole family! With all Crealy’s usual rides and attractions open, along with these spooktacular activites, Halloween at Crealy is not one to be missed. Visitors will be able to carve pumpkins, get up-close with invertebrates and discover the not-so-scary side to the amazing animals close to home in our Super Natural Neighbours challenge. For children and adults alike, indulge in some devilish fun with amazing face painting at Hullabazoo. There's a whole range of designs, from pumpkins to spiders! Delve into the dark side of the ocean at Bristol Aquarium this October half term! Touch REAL lobster claws, endure a mini-tour of horrific animal defences and even feed a shoal of giant vegetarian piranhas! Along with our usual underwater Aquarium adventure, enjoy extra talks, feeds and interactive activities - suitable for all the family, held at least every hour of the day! Enjoy Halloween in Tamworth at Drayton Manor Park, whether you’re a thrill seeker, an animal lover or after an immersive 4D experience, there’s something for the whole family to enjoy this Halloween. Kids will get the chance to earn their broomstick license at Marwell Zoo this half term! Their resident wizard is putting trainee flyers through their paces to earn their Level 3 broomstick license. Sessions last 20 minutes and take place each day in the ‘flying arena’ on the front lawn of Marwell hall on a first come first served basis. From Saturday the 22nd of October, Snowdonia’s award-winning eco adventure park will be brimming with Halloween fun for the whole family. Children will squeal with delight as they venture and discover a side of GreenWood never to be seen before! The world famous ‘Transylvanian Monsters Carnival’ will be taking over the forest theatre. And there will be seasonal crafts on offer, a daily best dressed competition for all the family to get involved and no tricks, just treats inside the Woodbarn Café. 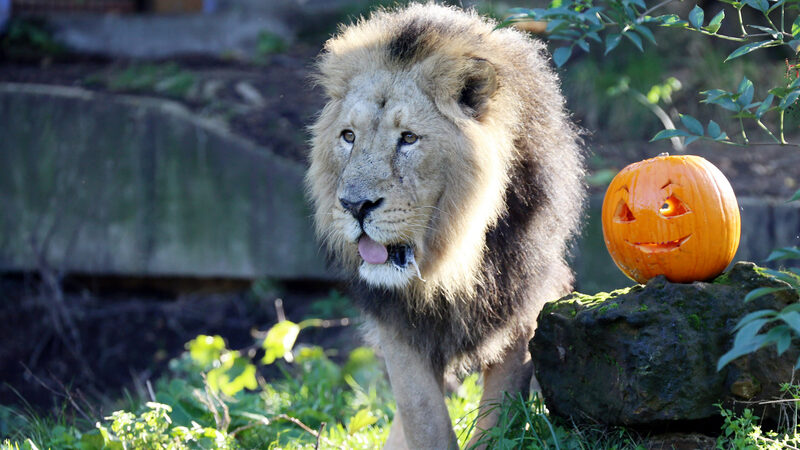 Be sure to bring along your Carved Pumpkin to be in the chance of winning a family trip to the park! From 10pm the skies will be lit up at Blackpool Pleasure Beach by spectacular fireworks displays on EACH of the Late Night Riding nights – every one with its own unique musical theme. Either choose to have a full on family day out, enjoying Blackpool Pleasure Beach throughout the day and night, or you can just go from 4pm til late for this special event.